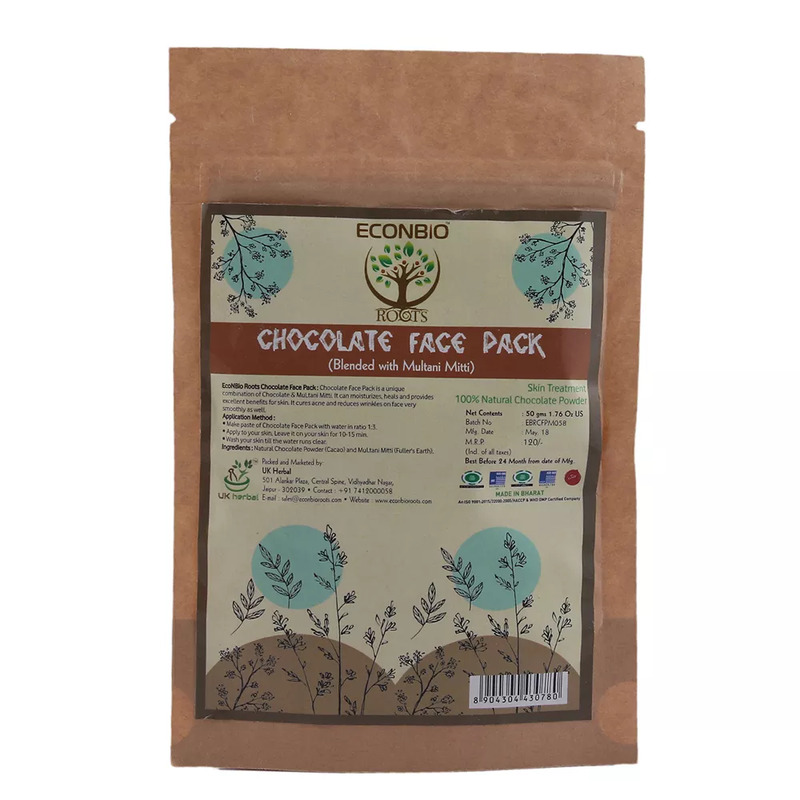 Chocolate is everyone s favourite but until late most of us were not aware of its goodness for the skin till it began to used actively as an ingredient in beauty industry. ECO & BIO ROOTS brings to you this fine quality chocolate face pack with its natural extracts in a packaging of 50 gms to provide fine quality products for beauty and wellness. It is packed with antioxidants which will leave the skin looking fresher, cleaner and healthier. It prevents the skin from drying and frequent breakouts while leaving it moisturized deeply. It also acts as a natural skin polish and promotes cell growth which help the skin glow and makes it look more youthful. It protects the skin from excessive tanning and damage from overexposure to the sun. Make paste of Chocolate Face Pack powder Apply to your skin, leave it on your skin for 10-15 min. Wash your skin till the water runs clear.